The District of Columbia Arts Center, under the guidance of its Visual Arts Committee announces its support of SPARKPLUG, a newly forming visual arts collective in the DC area. What constitutes an art collective? What is the difference between a collective and a cooperative? Do artists need collectives? What can/should membership in a collective provide for its members? Are collectives only about showing? Are curators involved in collectives? Are some mediums and aesthetic approaches better suited to collectives than others? How much feedback and criticism is involved in a collective? What would be the most important features of a DC-based collective? Am I ready to be in a collective? These are some of the questions DCAC hopes to address with the initiation of SPARKPLUG. Over the next few months DCAC will host discussions and forums on these and similar topics as they seek the optimal structure to assist area artists in their artistic advancement. The goal of SPARKPLUG is to identify superior artists, curators and arts writers without current gallery representation or institutional employ, provide an environment to help foster their development, provide legal, technical and other resources, and provide opportunities for them to exhibit both in DC and around the country. SPARKPLUG actively seeks its membership from all communities in the Washington, DC Metro region with the goal of bringing together emerging artists and curators with a broad range of backgrounds and experiences, and a diversity of professional preoccupations and creative visions. If you are interested in learning more, send an e-mail to info@dcartscenter.org with "SPARKPLUG" in the subject line. DCArtsCenter · DCAC is a nonprofit artspace dedicated to emerging art and artists. Located in Adams Morgan, DCAC is comprised of a gallery and theater and works to help artists gain a foothold in the professional arena. “What Remains: The American Landscape,” closes Friday, Aug. 31, at Zenith Gallery, 413 7th St. NW. Free. (202) 783-2963. “Tails of Art” closes Friday, Aug. 31, at Kathleen Ewing Gallery, 1767 P St. NW, 2nd Floor. Free. (202) 328-0955. Reception, Friday, September 7th, 2007 6-8pm. Exhibit of work from the Maryland Art Education Association members. The collection of artwork is juried by Laurie Snyder, Professor of Photography and Artist's Books at the Maryland Institute College of Art in Baltimore, Maryland. Relying on Memories with art by landscape artist Michael Farrell and the late Edda Jakab in Gallery II. A FREE public reception will be held on September 7, 2007 from 6:00 - 8:00 p.m.
Gallery Hours: M-F 10am-8pm, Sat 10am-4pm, Sun 12-4pm. Artists -Important - Please let Molly Ruppert know when you are bringing your work. If you have not talked, send a jpeg or description of proposed work. Drop off times are more complicated because of vacation schedules. If you have not yet dropped off your work, here are the remaining scheduled drop off times. It is helpful if you can let me know when you are bringing your work. On Wed 1-4pm and Thursday noon-3, I will be at Warehouse hanging the show. Please send Christina, christinaruppert@yahoo.com your info as soon as possible so she can start on lists and labels. Include name, title, medium, size, price. Email or bring what you would like included in the book- statement, resume, color copies, show info or anything you wish people to look at. I am looking forward to a wonderful ArtRomp. Thanks to everyone for making this work. 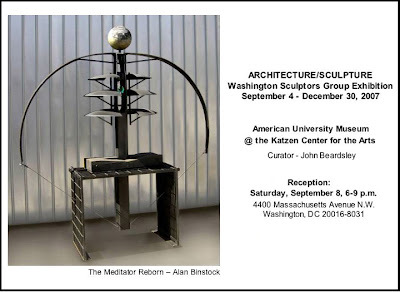 I had the pleasure of exhibiting with Sculptor Alan Binstock at the Zenith Gallery in 2006. Alan is a great person and an excellent sculptor working in metal and glass. His sculptures are filled with both light and density. Alan is a sculptor to watch and to collect. His work is included in the upcoming exhibition, "Architecture/Sculpture" curated by John Beardsley at the Katzen Center of American University. Don't miss it! The world around us can both provide inspiration and create vast opportunities for artistic creation: the possibilities are limitless. John Beardsley, a senior lecturer at the Harvard University Graduate School of Design, and the Washington Sculptors Group present submissions responding to the configuration and scale of the Katzen Arts Center, including its material, color, and light, as well as its experiential qualities. John Beardsley is the curator and a Senior Lecturer at The Harvard University Graduate School of Design and author of numerous books including Earthworks and Beyond: Contemporary Art in the Landscape and Gardens of Revelation: Environments by Visionary Artists. Both exhibitions include the work of Sharon Burton of Authentic Art DC. Touch: "Touch: the coming together of various mediums of art,"
Reception Saturday, September 8, 2007, 3;00 p.m. - 7:00 p.m. Reception : Sunday, September 9, 2007, 1:30 p.m. - 3:30 p.m. The Katrina Diaries includes work by members of the Louisiana Chapter of the Women's Caucus for Art in response to Hurricane Katrina. These works travel throughout the country to various Women's Caucus for Art Chapters, where the chapter members create work in response. Artwork by members of both chapters is then displayed together in one group exhibition called the "Katrinia Diaries." If you are not out of town, than consider visiting the gallery on Saturday afternoon (the 1st) from 1-4. Mezvinsky’s work is created on fabrics that become sculptural, as folds create dramatic lines of light and shadow. The painted images on these multi-ethnic cloths are like pieces cut from unusual ecosystems, where absurd situations become real. They are places where hybrid beings thrive and call to mind genetic engineering. The artist’s goal is to filter through and redefine the human form in his paintings. The physicality of the drape elements make is impossible to dismiss the works as windows to some imaginary space. They are real objects. 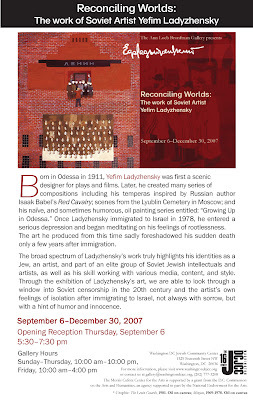 A graduate of the Glasgow School of Art, Mezvinsky is short listed for the Walker Contemporary Art Show at the Liverpool National Gallery in Liverpool, England. Most recently he was in the Peace Corps in Ghana where in addition to his duties, he created five “Glow in the Dark School” murals. The Cultural Center of the Inter-American Development Bank opens a new exhibition of outstanding works by artists from the Spanish, English, French and Dutch Speaking Caribbean. The nearest Metro station is Metro Center (13th Street exit). All the events are free of charge. Mon. - Fri., 11:00 a.m. to 6:00 p.m.
Made possible through the support of the Creative Communities Fund - The Community Foundation of the National Capital Region, Transformer, and WVSA Arts Connection/SAIL. Additional support received from Washington Parks and People; Glen Echo Park Partnership for Arts and Culture, Montgomery County, and the National Park Service, The Warehouse, Giorgio Furioso/Viridian Restaurant, Dance Institute of Washington, Clarendon Alliance, Arlington Cultural Affairs and the Ellipse Arts Center/Project Mobile Ellipse, Mexicali Blues Restaurant, as well as numerous individual supporters. NBC is running news tonight and tomorrow on Hollywood star Brad Pitt's efforts to help the rebuiding of New Orleans with ecofriendly affordable housing. Tune in to this important coverage. Brad Pitt champions affordable energy efficient housing for former residents of the Ninth Ward in New Orleans. Global Green, in partnership with Brad Pitt, sponsored an international design competition during the summer of 2006, with more than 125 entries competing to design a zero energy affordable housing development in the Holy Cross Neighborhood of the Lower 9th Ward. Andrew Kotchen and Matthew Berman of Workshop/APD in New York created the winning design. The units could save 75% on energy and 50% on water bills. Working with Global Green, Pitt is working towards helping the portion of society that was overlooked with Katrina. Berlin has changed dramatically since the fall of the Berlin Wall. Society’s structure has been altered, as have the city’s temperament and architectural design. Juxtapositions, transitions, façades, and Doppelgängers both imagined and real exist in the city’s spaces, people, and culture. Photographers and other artists have contributed to this transformation, to this new way that Berlin perceives itself and is perceived by others. The city is a magnet for artists from around the world, including many from former Eastern Bloc countries. Eleven modern-day artists who live and work in Berlin express this new city through private and public images. Matthias Harder, Helmut Newton Foundation, Berlin curated the exhibit. On Saturday, August 25, the Artisans of Covenant House will help celebrate the opening of the new Eastern Market building on the Hine Jr. High School side of 7th St. DC Mayor Adrian Fenty will be there, along with numerous civic leaders and community members - and all of your favorite vendors! Fine wooden gifts made by young people dedicated to a life off the streets and on the road to success. Visit the Artisans at Eastern Market on Capitol Hill, 7th and Pennsylvania SE. Learn more about Covenant House Washington http://www.covenanthousedc.org and services for youth in the DC area. 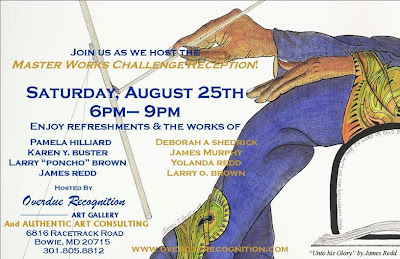 Opening reception at the museum: August 26, 11:00. Photographs by Billy Name, Curtis Knapp, Gerard Malanga & Carl Fischer—The Martin Sanders Collection at the Ludwig Museum, Koblenz, Germany. The exhibition at the Ludwig Museum, Koblenz, was curated by Dr. Beate Reifenscheid, Director, Ludwig Museum. Catalogue published by the museum with an essay by Martin Irvine. Celebrity Portraits from the Andy Warhol Factory Years spans exactly two decades of portrait photography surrounding Andy Warhol’s Factory in New York (1963-1983). 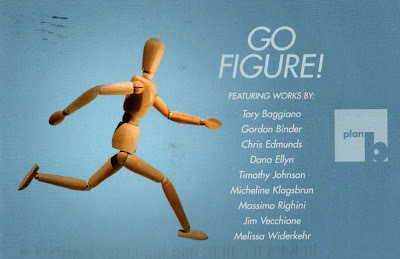 The exhibition was first exhibited as a curated collection at Irvine Contemporary in February 2006 (see original exhibition information) and was purchased by New York-based collector Martin Sanders. The Ludwig Museum exhibition now brings together 32 photographs by Gerard Malanga, Billy Name, Carl Fischer, and Curtis Knapp in a unique set from the private collection of Martin Sanders. Martin Sanders has now assembled one of the most important photography collections from the Warhol years. The exhibition is the first of its kind, presenting many photographs never exhibited before in a museum curated collection. The exhibition includes Sander's recent important acquisition, the unique color processed self-portrait from the Andy Warhol Screen Test Series by Warhol’s assistant and collaborator, Gerard Malanga, which Malanga produced from frames of the very first Warhol Factory Screen Test film as a positive and negative diptych pair. Mr. Sanders has worked closely with Dr. Irvine for the acquisition of this body of photographs and for the museum exhibition, and Dr. Irvine has also written a catalogue essay to accompany the Ludwig Museum exhibition. The photography by Warhol's collaborators and Factory associates represents a great opportunity for collectors, and the works are becoming scarce. Billy Name, Gerard Malanga, Carl Fischer, and Curtis Knapp continue to work with Irvine Contemporary on the representation of available works. Representative and available works are on view on www.irvinecontemporary.com website. Contact the gallery for availability and pricing. The prominent artists whose work is represented in The Freedom Place Collection are separated artistically by the individuality of their creativity and process, yet linked by the African-American experience and heritage, a powerful wellspring of inspiration that has uniquely nurtured and enriched their art. The Freedom Place Collection is owned by Washington residents Stuart Bloch and Ambassador Julia Chang Bloch, who started collecting African-American Artists 35 years ago while living in Cambridge, Massachusetts. The Blochs are sponsoring the ZCAF exhibition. The Zenith Community Arts Foundation (ZCAF), established by Margery E. Goldberg in 2000, is the non-profit division of Goldberg’s Zenith Gallery, recognized nationally and internationally for 29 years for its unique selection of abstract, contemporary and realism artworks in sculpture, painting, photography, neon art and contemporary crafts. Created to further Goldberg’s vision of artistic and community activism, ZCAF is committed to arts advocacy, collaboration and using art to benefit community. Among ZCAF’s most successful projects is its annual Food Glorious Food calendar with associated Giclée prints, which have raised tens of thousands of dollars for the Capital Area Food Bank. Molly Ruppert will be contacting all artists who have participated in Art Romps 1-19, to exhibit in Art Romp 20 on September 7. 2007. If your email or contact information has changed, drop Molly a line and let her know your whereabouts so you can be part of the art romp to end all art romps!!!!! Warehouse is located at 1017-1021 7th Street NW, between New York Ave. and L St. in downtown Washington, DC across the street from the new Washington Convention Center. METRO » MT. VERNON SQ. (Green/Yellow Lines): 1 Block walk south on 7th St.
» GALLERY PLACE Chinatown Exit (Red/Green/Yellow Lines): 4 Blocks walk north on 7th St.
Back in June at Govinda Gallery in Georgetown, Director Chris Murray featured some amazing photographs of hip hop and rap Artists by NY based photograper, Jonathan Mannion. If you missed the show you can still get a video glimpse of the photographs and highlighted rappers at Spin Daily. 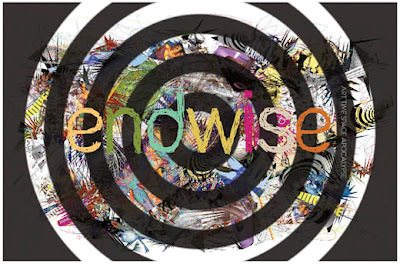 2007 marks the fifth anniversary of The Trawick Prize: Bethesda Contemporary Art Awards. Eleven artists be featured in this annual exhibition produced by the Bethesda Arts & Entertainment District. 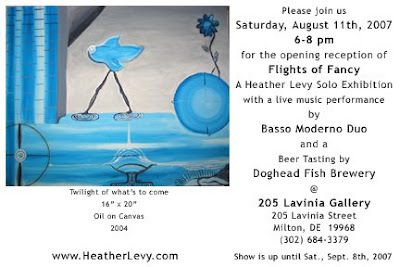 The exhibition runs September 4-28, 2007 in downtown Bethesda at Creative Partners Gallery located at 4600 East-West Highway. Creative Partners Gallery is located two blocks from the Bethesda Metro station and there are two public garages on either side of Waverly Street just before Creative Partners. There will be an reception for Trawick Prize winners on Friday, September 14 from 6-9pm held in conjunction with the Bethesda Art Walk. gallery hours are Tuesday - Saturday, 12-6pm. at DC Arts Center, 2438 18th Street NW. Open Wednesday though Sunday, 2 p.m. to 7 p.m. The Internet is a great resource. We still have to beware of scam artists preying on real artists who passionately want to sell their art. Be Alert. Keep up with the common art scam emails. Don't be clueless, learn to recognize a scam. A good resource is Art News Blog. I myself have gotten these types of inquiries and now delete them without deliberation. One artist friend was nearly scammed this year after corresponding with a con artist over a period of a time. If you're not sure about an email inquiry, ask other artists or business colleagues who may be able to spot a fraud. Words of wisdom...Be skeptical... If an offer sounds too good to be true, it probably is. Do your homework. I'm sorry to hear this news..Rebuilding Place in the Urban Space blogger Richard Layman tells us that Sabina Yanul, owner of Franz Bader Books, 1911 I St., N.W., Washington, D.C., plans to close the store this fall. As Chris Kerr of Parson Weems put it, "Beloved by university presses and art book publishers and supported for a generation by Washington's Embassy Row and traveling diplomats, Sabina and her husband, Richard, were an oasis of civility and culture in the desert of D.C. politics." Frank Warren's new PostSecret Video trailer to promote a new book. Very well done! WASHINGTON, D.C. – On behalf of the Board of Directors of the Capitol Hill Arts Workshop (CHAW), President Eric Tobias has announced the selection of Jill P. Strachan, PhD as CHAW’s new Executive Director. In addition, Tobias announced that Jenny Chowning will be Director of Education & Programs and Jody Barasch will be the Director of Operations. All three appointments are effective immediately. They join Michelle Cohen who became CHAW’s Director of Development in May 2007. Tobias stated, “The Board of Directors conducted an extensive search to find a new Executive Director. We selected Jill Strachan to fill the position because we know that she will bring the right mix of management, fundraising, and mentoring experience to CHAW and because she has an unrivaled passion for the arts and CHAW’s vision of building community through the arts.” Strachan has been involved with CHAW in many capacities (including Board member, former interim Executive Director, teacher, student, and grant writer) since 1999. In addition, she brings a broad range of experience with non-profits and the arts from her more than 20 years as a free-lance consultant in the arts. In selecting Jenny Chowning as Director of Education and Programs, CHAW will benefit from Chowning’s broad knowledge of education and her research and policy experience with Americans for the Arts. Chowning will have responsibility for shaping the long-range vision of education and programs at CHAW while building on the many successfully, current multi-disciplinary offerings. As Director of Operations, Jody Barasch will have responsibility for managing CHAW and its facility on a day-to-day basis. Barasch, already familiar with CHAW through her participation in the ceramics program, has broad experience in managing schedules, vendors, and volunteers after eleven years as the House Management Coordinator for Arena Stage. CHAW will formally welcome Strachan, Chowning, and Barasch at a reception at CHAW in conjunction with the opening of the Photography Exhibit on Saturday, September 8, 2007, 5-7 PM. All are welcome to attend. Capitol Hill Arts Workshop (CHAW) is a non-profit multi-disciplinary arts education facility, located on the corner of 7th and G Streets, SE (just two blocks south of Eastern Market). 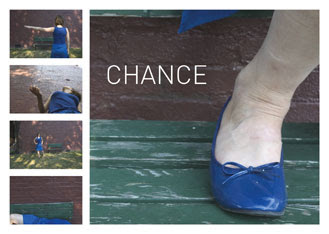 For more information about classes, performances, exhibitions, and programs, visit http://www.chaw.org/ . CHAW offers a tuition assistance program. CHAW’s mission is building community through the arts. CHAW was recognized as a featured charity by the 2006-2007 Catalogue for Philanthropy. Check often for art marketing tips and information to save you time, energy and money. With the knowledge and support you get from Artist Career Training, you'll save time, effort and money. Artist Career Training gathers all the information you need to market your art and build your art career so that you can make money and get back to doing what you love - making more art. The Phillips Collection's Education Department will be one of many museums and cultural institutions making presentations at the Dupont-Kalorama Museum Consortium's Educator Open House. The event will be held at the renowned Textile Museum on August 29th from 4pm to 7pm. This free event will provide opportunities for teachers to learn about educational programs, exhibitions and resources offered at eight museums in the Dupont Circle and Kalorama neighborhoods. Light refreshments and prize giveaways will make the open house an invigorating experience. Other museums who will be presenting at the Open House include: include: Anderson House, the Woodrow Wilson House, Mary McLeod Bethune Council House, and The Textile Museum. Organized by the Musée du Louvre, Paris, the Museo Nazionale del Bargello, Florence, and the National Gallery of Art, Washington. Passes are not required for this exhibition. On view in the National Gallery's West Buidling, Main Floor, Galleries 10 and 11. Sponsored by The Exhibition Circle. Dcist's Sriram Gopal reviews Jazz trumpeter and composer Terence Blanchard latest CD release. This month marks the second anniversary of Hurricane Katrina's assault upon the city of New Orleans. Blanchard's latest release on the Blue Note label, entitled A Tale of God's Will (A Requiem for Katrina), is a somber and plaintive look back on how Mother Nature and the country at large betrayed a great American city. Terence Blanchard will be performing at Blues Alley this Thursday through Sunday with daily 8 p.m. and 10 p.m. sets. Tickets here $27.50 + $10 food/drink minimum. 1615 Rhode Island Avenue, N.W. The Beacon Hotel is located three blocks from the Farragut North and Dupont Circle Metro stops, both on the red line. Valet parking is available. Visit www.beaconhotelwdc.com for directions. Tom Weschler of Weschler’s, DC’s only auction house, has agreed to volunteer as auctioneer of the live event. The public is invited and tickets cost $50.00 each. Bright Horizons Foundation for Children, DC Children and Youth Investment Trust Corporation, DC Commission on the Arts and Humanities with the National Endowment for the Arts, in partnership with the DC Early Care and Education Administration, DC Leadership in Action Fund of The Community Foundation for the National Capital Region, E*TRADE Financial Corporation Donor Advised Fund of The Community Foundation of the National Capital Region, Fannie Mae Foundation Fund of The Community Foundation of the National Capital Region, Federal City Council, International Union of Bricklayers and Allied Craftworkers, M. Russell and Associates, PNC Bank, Procter & Gamble, Teaching Strategies, and W. K. Kellogg Foundation. James G. Davis Construction Corporation and Miller & Long Concrete Construction very generously constructed the concrete bases for the blocks and placed the blocks at the sites throughout the City. Monica Tinker: Out of b[Order] is a site-specific installation that incorporates the use of natural and man-made materials to create a temporal exhibition drawing upon the immediate surroundings. On entering the exhibition space, viewers find that they’ve wandered into a three dimensional sketchbook where the meanderings of a thought are realized in drawings, sculpture, and text. Tinker utilizes steel, concrete, mixed media paintings, rope, encaustic, plastic, and a variety of natural matter to create a visual dialogue between objects and the installed environment. Ultimately, Tinker works to make sense of the visual and material world and invites the viewer to join in her journey. Out of b[Order] is evolving organically over the course of two months, as Tinker returns to Hillyer Art Space on a weekly basis to alter her work. Her adjustments, whether it is the removal or addition of an object, or the rearranging of materials, reflect the challenge to find order among disparate fragments of experience while confronting the passage of time. Tinker creates a live studio where experimentation and play, rather than the results of those processes, take center stage. Her work is truly a metaphor in materials and aims to rearrange the viewer’s concept of the ordinary by providing a place of honor to everyday materials and subjects. Thursday, September 6, 2007; 6 - 8 p.m.
MAP has two calls for artist submissions. Please review all of the guidelines, available on MAP's website http://www.mdartplace.org before submitting work. ANNUAL FALL BENEFIT:MAP is accepting submissions focusing on the theme of “Nudes” for its Annual Fall Benefit. All mediums and styles will be considered. ONLY submissions emailed to map.submissions@gmail.com will be considered. The DEADLINE for emailed submissions has been extended to 5pm on August 31, 2007. 22nd ANNUAL CRITICS' RESIDENCY PROGRAM: Artists and writers are encouraged to apply to MAP's 22nd Annual Critics' Residency Program. This year's critic is Art in America contributor, Robert Berlind. DEADLINE: Postmarked or hand delivered by 5pm on August 31, 2007. My new favorite vegetarian restaurant, Java Green was featured Tuesday night, July 31 on NBC4 as part of a “Going Green” special hosted by Wendy Rieger. Go to NBC4 http://video.nbc4.com/player/?id=136474 to hear this informative and excellent report on the vegetarian lifestyle. 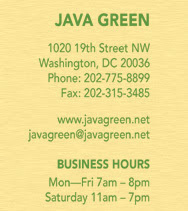 Try out the restaurant on 19th St NW. It's a treat even for meat lovers. It's casual atmosphere with a wide selection of mock dishes will satify every taste. Try the carrot cake for dessert if you love sweet and moist. Kriston Capps reviews "Useless" exhibition at Project 4. 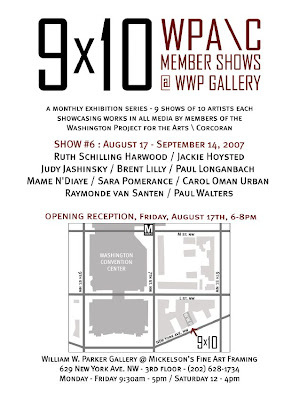 The exhibition is on view from 2 p.m. to 6 p.m. Wednesdays through Fridays and noon to 6 p.m. Saturdays, to Saturday, Sept. 8, at Project 4, 903 U St. NW. Free. (202) 232-4340. + "Academy 2007" exhibition at Conner Contemporary Art. The exhibition is on view from 10 a.m. to 5 p.m. Tuesdays through Saturdays, to Saturday, Aug. 18, at Conner Contemporary, 1730 Connecticut Ave. NW, 2nd Floor. Free. (202) 588-8750. + "A Good Time Is Now" exhibition at Knew Gallery. The exhibition is on view from 11 a.m. to 6 p.m. Tuesdays through Saturdays, to Sunday, Aug. 19, at Knew Gallery, 1639 Wisconsin Ave. NW. Free. (202) 338-4588. Maura Judkis reviews "Earth on Stone on Earth Is Naturally So" exhibition at Flashpoint. The exhibition is on view from noon to 6 p.m. Tuesdays through Saturdays, to Friday, Aug. 31, at Flashpoint, 916 G St. NW. Free. (202) 315-1305. Painting, sculpture, performance, sound and video works by over 25 artist that either "proposed an alternative way to experience time or acknowledge the coming of the end of time". This August, Touchstone Gallery presents some of the region’s top emerging and established photographers juried by one of DC’s most esteemed photojournalists. Touchstone Gallery encouraged photographers in the surrounding area to enter their finest photographs, expecting only the best to fill Touchstone’s walls. PHOTO FOCUS is a collaboration of photographs that appeals to diverse tastes within a sole medium. JUROR Sharon Farmer is a professional photojournalist and lectures extensively on photography and photojournalism. Among her many roles, she served as Director of the White House Photography Office from 1999-2001; was A White House photographer since 1993, documenting the Clinton-Gore Administration; was the campaign photographer for Sen. John Kerry’s presidential election campaign in 2004; curated a photography show entitled “Cuba Now” at the District of Columbia’s Sumner Museum. Over the years she has photographed for The Washington Post, the Smithsonian Institution, and The American Association for the Advancement of Science, to name a few. Ms. Farmer’s work has been featured in several books and her photography has been exhibited at the Washington Project for the Arts, the Corcoran Gallery of Art, and the Bethune Museum Archive, Inc. Ms. Farmer has taught and lectured extensively on photography and journalism at the American University, the Smithsonian Institution, Mount Vernon College, The National Geographic Society, Indiana University and the National Association of Black Journalists (NABJ). In 2001 she lectured in five cities for the “Flying Short Course” sponsored by the National Association of Press Photographers. The City of Philadelphia Mural Arts Program is hosting this fall - the Arts in Criminal Justice National Conference. The Mural Arts Program is the first organization to facilitate a national, large-scale conversation about the burgeoning field of arts in criminal justice. Taking place in Philadelphia October 3rd through 6th, 2007, the Conference is expected to draw hundreds of individuals from around the country to participate in three days of sessions that will include analysis, problem-solving exercises, and discussions addressing the opportunities and challenges in this innovative field. Conference registration is now open. Please visit www.artsincriminaljustice.org to view the schedule, peruse the sessions, and register online. Conference sponsors: The Nathan Cummings Foundation, The Ford Foundation, the Leeway Foundation, and Philadelphia Safe and Sound, with funding from the City of Philadelphia Department of Human Services. "The compliment machine was commissioned by SiteProjects DC, a program partially funded by the D.C. Commission of the Arts & Humanities, which asked 16 artists to create public exhibits that were placed from July 15-28 in a six-block area of the nation's capital." Washington, DC artist Tom Greaves is interviewed by Mike Celizic on the Today Show. TODAY host Matt Lauer talks to Tom Greaves, the creator of this box that includes 153 feel-good phrases to praise people. Listen hear. Pyramid Atlantic Art Center, contemporary visual arts center and gallery dedicated to creation, exhibition and appreciation of paper, prints and book art, seeks Executive Director to succeed founder, Helen Frederick. See http://www.successionusa.com/jobs/ for full job description. 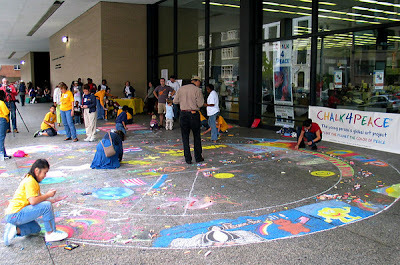 CHALK4PEACE is happening Sept. 14-16, 2007 in more than one hundred sites around the world this year, 20 some sites in the Beltway area alone! Find the partial list at http://www.chalk4peace.org. Feel free to get down and dusty at any of the locations during the weekend. A CHALK4PEACE Decompression Storytelling Dinner will be held at Nam Viet Restaurant, 1127 North Hudson St., Arlington, VA.
to celebrate dusty experiences of the weekend's events of CHALK4PEACE, the cooperative chalk art event for young artists of all ages. I've been wondering what that dreamy time is called when we artists incubate our best work. Now, Songwriter Christine Kane has come up with a great post on how the imagination needs moodling - long, inefficient, happy idling, dawdling, and puttering. Enjoy your moodling (or playtime). National Museum of Women in the Arts, the only museum in the world dedicated exclusively to recognizing the contributions of women artists. Hey, am I moving up in the cyber world or what. I'm a Multicellular Microorganism in the Truth Laid Bear Ecosystem. California Coast....on our way home, we're going home.